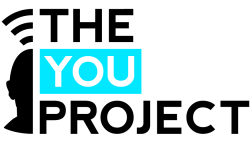 The You Project Podcast is a 45-60 minute weekly dose of inspiration and education hosted by Craig with great stories, ideas, strategies and lessons from high-performers in sport, business, science, media and health. Two blokes (a young enthusiastic one and an old deep-thinking one) discuss things they’re not qualified to talk about, review stupid products, answer questions they shouldn’t, consider the nature of the Universe, discuss the complexities of man (woman) and share stories which may, or may not be, true. TOMMY JACKETT is a hyper-active, super-talented (his words) videographer, editor, producer and creative genius (him again) also based in Melbourne. To watch The Craig Harper Show please click here. Respected radio host and journalist, Francis Leach, Australian netball legend and TV commentator, Bianca Chatfield and motivational speaker and author, Craig Harper engage in an unplanned, freestyle verbal romp covering everything from sport, politics and pop culture to the psychology of success, happiness and the meaning of life. To listen to the We’ve Got Nothin’ podcast visit www.wevegotnothin.com. We chat with the leading thinkers, educators, coaches, performers and entrepreneurs in the world of fitness. If you work in fitness, want to work in it, have a fitness business, product or service or maybe you’re just passionate about fitness, this is the resource for you. To listen to The Australian Fitness Podcast visit www.theaustralianfitnesspodcast.com.